Rick knows the BEST BOXS in the Hobby at The LOWEST Prices in The Galaxy (Texas) are at Sports Cards Plus. Rick and his son drove from Austin Texas for Saturday's Leaf Q Break. Spots are $67.95 and every spot gets one random card from a factory sealed box. Rick said it was worth the drive. 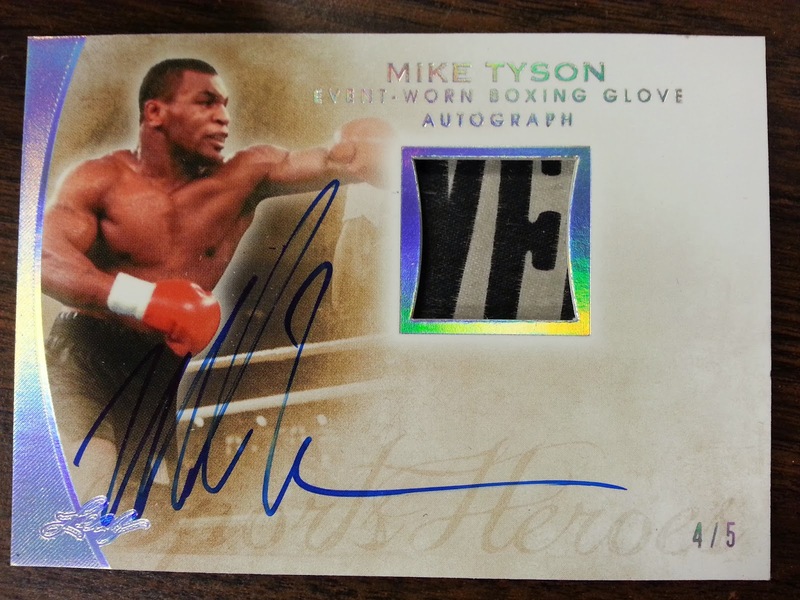 Here is Rick with his Mike Tyson Auto Event-Worn Boxing Glove "Everlast" Patch 4/5. The card looks beautiful. The "VE" is nicely placed in the window of the card. Rick's second LEAF Q Group Break Spot got him the redemption for a Cal Ripken Autographed Jersey Card. Our next LEAF Q Group Box Break is WEDNESDAY at 6:00. All our boxes of LEAF Q have been winners. Spots are $67.95 and every spot gets ONE RANDOM CARD from a factory sealed box. Get your LEAF Q Group Box Break SPOT from the BEST CASES in The Hobby. 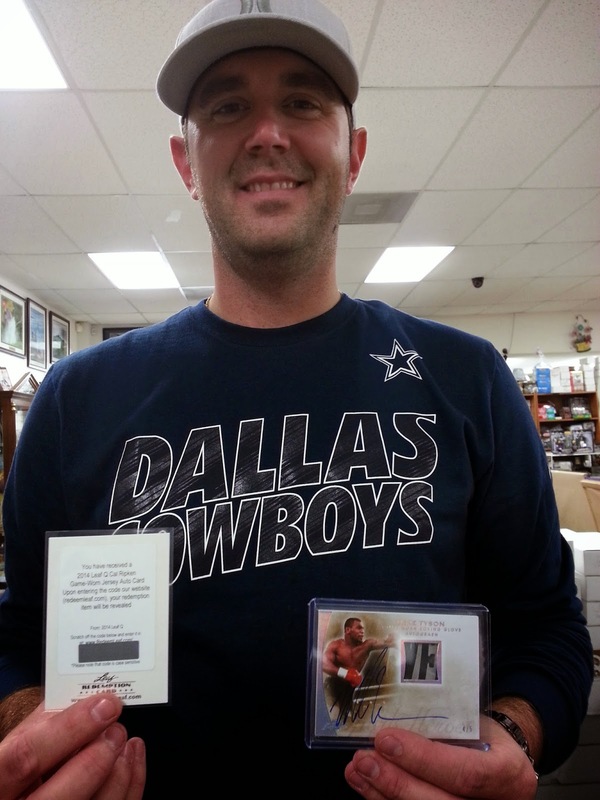 Call Charlie TODAY at 210-524-2337 to pay for your spot in collecting history. After his LEAF Q hits, Rick and his son decided to do a heat check. 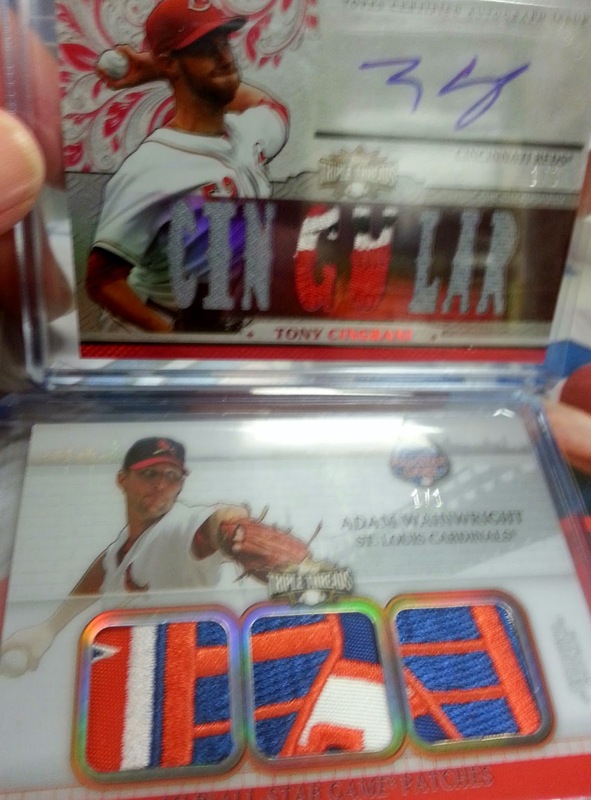 They tried ONE box of 2014 Topps Triple Threads Baseball and pulled TWO 1/1s from ONE BOX! The drive is never to far to pick your box from The BEST CASES in The Hobby at the LOWEST PRICES in all of Texas. Most of our prices are the LOWEST anywhere. Do like Rick and his son. 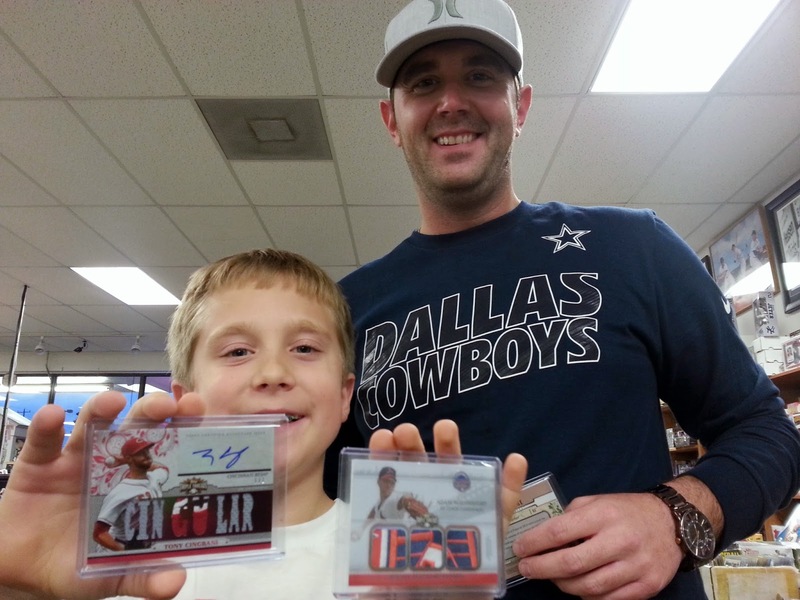 Go to Sports Cards Plus TODAY and have some fun.